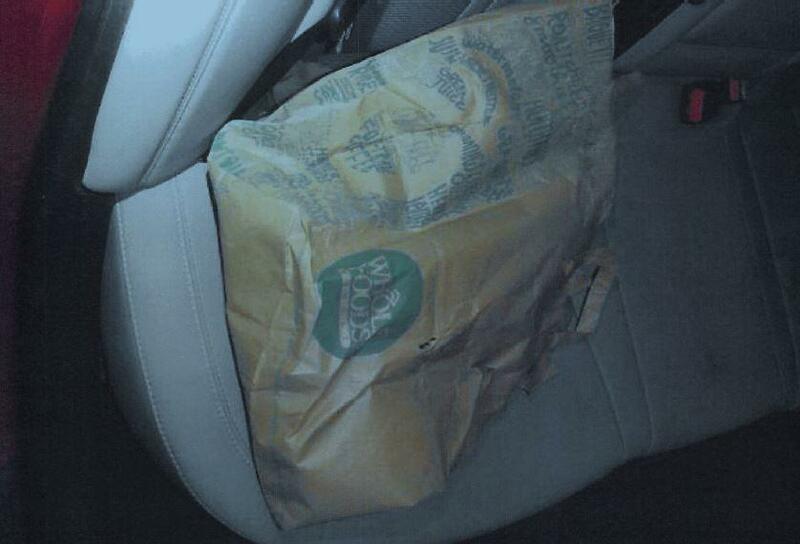 $46,000 was found inside a Whole Foods bag. Though no one was charged with a crime, law enforcement seized the money. Temple gave the officer permission to search the car, and in the trunk, the trooper found $46,000, all in twenties, inside of a Whole Foods paper bag. Temple told the officer he picked up the cash from his sister, but when police called his sister, she said that wasn’t true. A canine unit was called in, and a dog named Gauge sniffed the car. However, Gauge didn’t turn up any drugs. Aside from tailgating, Alex Temple hadn’t apparently broken any laws. That didn’t stop law enforcement from confiscating the money. “It appears that the government is of the view that it is illegal to be traveling with $46,000 in cash,” says Gilles Bissonnette, a lawyer with the ACLU of New Hampshire. The legal maneuver that allows the government to seize money in these cases is called civil asset forfeiture. It’s a controversial technique that law enforcement says helps ensure criminal rings are starved of cash, but is also a system that has come under fire for abuse and questionable seizures. In New Hampshire, civil asset forfeiture has resulted in millions of dollars transferred to police departments, including some unexpected windfalls for small towns. These cases can be brought in either state and federal courts, with each system setting its own guidelines. In 2016, New Hampshire lawmakers tightened its statute. The new rules only permit forfeitures after a person is arrested, charged and found guilty of a crime. In essence, civil forfeiture was banned, allowing for only criminal forfeiture cases to proceed. New Hampshire’s new rules, though, don’t apply to federal civil asset forfeiture cases. In practice, that means all a state trooper or local cop needs to do is call in federal partners, such as the FBI or Homeland Security, and have them seize the money, even if there isn’t an arrest and conviction. That’s what happened with Alex Temple’s money, which is now moving through the federal court system under the case name U.S. vs. $46,000. 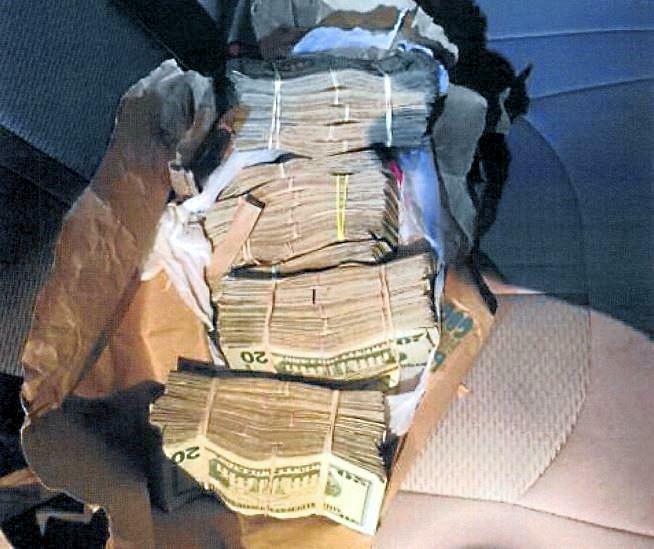 $46,000 in cash, found in a car driven by Alex Temple. “It’s a loophole. There is definitely a loophole that allows state and local law enforcement to bypass state policy set by our legislature,” says Greg Moore, state director of Americans for Prosperity New Hampshire. He, along with the ACLU, pushed for the stricter state laws in 2016. According to Moore, the advocacy wasn’t based on any specific case of New Hampshire fraud, but rather a philosophical belief about the role of government. Under the Obama Administration, there was a reduction in some types of federal asset forfeiture cases. But under President Trump, and his Attorney General Jeff Sessions, the U.S Department of Justice is expanding its use. From the government and law enforcement’s perspective, civil asset forfeiture is a no-brainer. “There are a number of reasons for this...one is to deter criminal activity,” says John Farley, who works in the U.S. Attorney’s office in Concord. If someone made money off of something illegal, be it selling drugs or running a ponzi scheme, reasonable people would agree that they shouldn’t get to keep that money. But what about murkier cases, like that involving unexplained cash in a grocery bag? Farley couldn’t comment on the case of Alex Temple, which his office is handling. He did say the government is not going bring forward cases it doesn’t think it can win. And all of these cases, in the end, are decided by a federal judge or jury--there is due process to ensure people’s property rights are protected. The U.S. Attorney’s office in New Hampshire says that at any given time, there are roughly one to two dozen active asset forfeiture cases. Even with that relatively low number, the money does add up. Since 2010, an NHPR analysis found that New Hampshire law enforcement departments received nearly $10.5 million through what’s called the federal Equitable Sharing Program. As you’d expect, bigger agencies including the Manchester Police Department and N.H. State Police receive large payouts. But there are also some outliers, like the Kingston, Plaistow and Atkinson Departments: small towns that, altogether, have received more than $600,000 in seized assets. Michael Carignan is deputy chief of the Nashua Police Department, where forfeitures fund the force’s drug unit, as well as drug court and other community-facing programs. He opposed the 2016 tightening of the state’s civil forfeiture rules, and says seizures are simply the result of good policing. As for the case of the cash found in a Whole Foods shopping bag, there’s been an interesting wrinkle. Alex Temple, who was driving the car, hasn’t stepped forward to challenge the case. Instead, someone named Edward Phipps has filed a petition claiming that the cash is actually his. In court paperwork, the Maine resident claims the money was lawfully obtained, although he hasn’t yet explained how he got it, why it was in twenty dollar bills, or why it was in Mr. Temple’s trunk. That information will likely come out during the trial of the U.S. vs. $46,000, scheduled to start in December of this year. The attorney for a New Hampshire man accused of participating in a failed murder-for-hire plot targeting his ex-wife says he was set up by a prosecution witness. The trial started Wednesday for 63-year-old Maurice Temple. He's charged with criminal solicitation of murder, conspiracy to commit murder and attempt to commit murder. He and his mother, 83-year-old Pauline Chase, were arrested in July after the witness, Mark Horne, agreed to secretly record police-authorized phone and video conversations. For more, we turn to Chuck Canterbury. He's the national president of the Fraternal Order of Police. Thank you for joining us. CHUCK CANTERBURY: Glad to be here, Audie.